Fame can be achieved through various ways in Hollywood, some of which include by either playing a role in a movie/television show, marrying a famous person or doing all three. 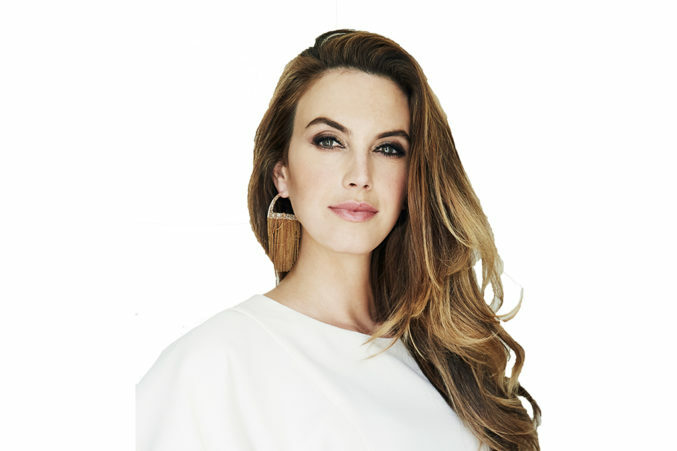 Elizabeth Chambers is a woman who has done all three and more, she has had a stint in movies, on the runway, television shows and even as a journalist. To learn more about this woman who has juggled many careers in her life, keep reading. On the 18th of August in 1982 in the city of San Antonio, Elizabeth Chambers was born. Chambers has three siblings; a sister named Catherine and two brothers who go by the names; Joseph and John. There is currently no information available regarding her high school education or the course she studied while in school, it is, however, available to the public that she graduated from the University of Texas which is located in Austin. Elizabeth Chambers has worked in a plethora of careers ranging from journalism to baking. As a teenager and in her early adulthood, she worked as a model. When in her mid-teens, she had a feature in the teen magazine; Seventeen and also posed for the Italian designers who make luxury ready to wear clothes; Fendi. For a period of four months, she stayed in Tokyo to seek more modelling gigs. Chambers has not only worked in the capacity of a model but as an actress as well, with roles in television series and movies. Her debut in acting was in the television show, Going to California (2002). On the American crime drama Criminal Minds (2005) she had a guest appearance and also appeared in the sitcom 2 Broke Girls (2011-2017) as Vanessa Nibotita. Elizabeth Chambers has also had roles in two movies – the 2003 Thomas Haden Church film Rolling Kansas and the 2007 movie The Game Plan, that starred Dwayne Johnson. Chambers also worked for the Human Rights Foundation as a chief correspondent which required that she travel to different places in the world and report on the work the foundation was doing in those areas. She began this career in 2009 while in college where she got a slot to report for Access Hollywood. Her journalism has also spread to covering events for the entertainment channel E! News. She currently co-owns a bakery in San Antonio called BIRD, she opened up shop in 2010. At BIRD, everything is made from the scratch and she credits her mother’s catering business as the first contact she had with the culinary arts and the first time she fell in love with the art of baking. The bakery offers a range of dishes and desserts. Her love affair with food has been put to the test with appearances as a judge on shows such as Cupcake Wars, Chopped Junior and Sugar Showdown. For her, baking is the ultimate life goal and it is something she has been doing for most of her life. Not much is known about Elizabeth Chambers’ father but she credits him with sparking her interest in entrepreneurial pursuits and for helping her set the record of the most cookies sold by a member of the Girl Scout in Colorado, all of these she achieved while in her second grade. Her mother and grandmother; Judy Chambers and Maureen Phyllis, used to run a catering company in their hometown of San Antonio and Elizabeth spent a lot of time with the both of them. Elizabeth Chambers is married to actor Armand ‘Armie’ Hammer. He starred in the 2017 movie Call me by Your Name. The couple met in 2006 but were both seeing other people at the time. They, however, decided to stay friends for two years before they started dating in 2008 and by 2010, they got married. Her husband; Armie has described their love as one that happened at first sight. The couple has two children; a girl and boy; Harper Grace and Ford Armand Douglas. From her active Instagram feed, it is obvious that Elizabeth Chambers has managed to maintain the figure she had which gave her a career in modelling, even after two kids. She maintains a healthy weight of 64 kg and stands at a height of 5 feet 10 inches.